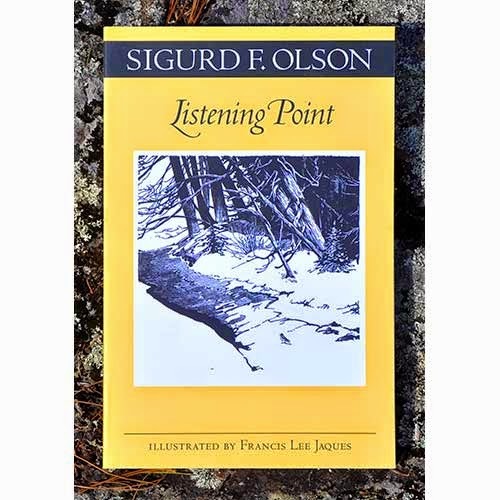 Sigurd Olson was one of the greatest conservationists of the 20th century until his passing in 1982. He was an award-winning activist, best-selling author of nine books, president of the Wilderness Society and the National Parks Association. His awards include those from the Sierra Club and the National Wildlife Federation for his works. His understanding of nature came from listening to it, observing it, and acquiring a reverence for it. He was at home and at peace in the wilderness, but it was hard at any given moment to escape to the true wilderness, so he sought an oasis deep enough in nature to be appreciated, yet close enough to escape to when the notion struck. While paddling, he found a spot on the south arm of Burntside Lake, adjacent to the Boundary Waters Canoe Area, near Ely, MN, that fit the bill. He and his wife, Elizabeth, acquired the original 26 acre tract in 1956, and later added another ten acres. 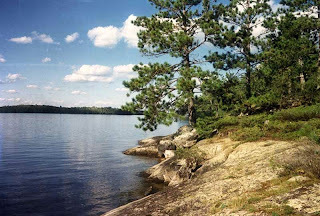 It included alder and willow along the shore, upland second-growth birch and pine, a cove and beach, and huge boulders that have rested there since the last ice age 10,000 years ago. It was only ten miles from home, but in another world of its own where only the sights and signs of nature could be perceived. Loving to listen to nature, he called it Listening Point. There are two ways for you to get to this special place, either spiritually or physically. The first is by reading this book. As I mentioned when reviewing another book of Olson’s, The Singing Wilderness, his writing is so detailed, articulate, and of such depth that the reader can’t help but find himself there listening to the loons and woodpeckers, watching the seasons color the landscape, smelling the wood smoke, and being entertained and enlightened by the mice, deer, beavers, birds and all other wildlife. You can also visit the Olsons’ cabin with permission of the Listening Point Foundation, which was created to maintain and preserve the site. It was added to the National Registry of Historic Places in 2007. If you visit the home, where nature programs and classes are held during the year, a member of the Foundation will take you out to Listening Point. Olson’s other books and related items may be purchased there to benefit the Foundation. A visit would create a memory of a lifetime, and this book and Singing Wilderness are certainly two that should be on your must-read list.